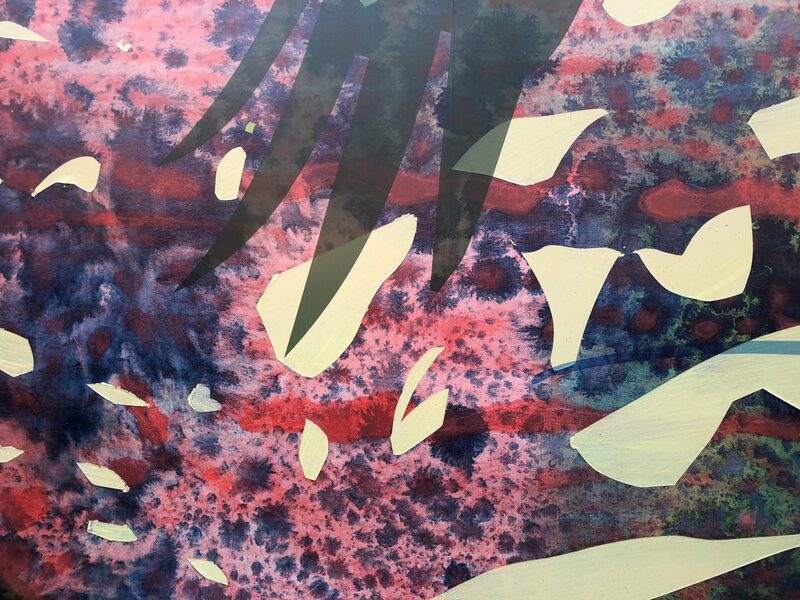 San Diego artist Eva Struble's mural Soar/Shift/Shelter enlivens a busy vehicular and pedestrian corridor on the north side of the airport campus. 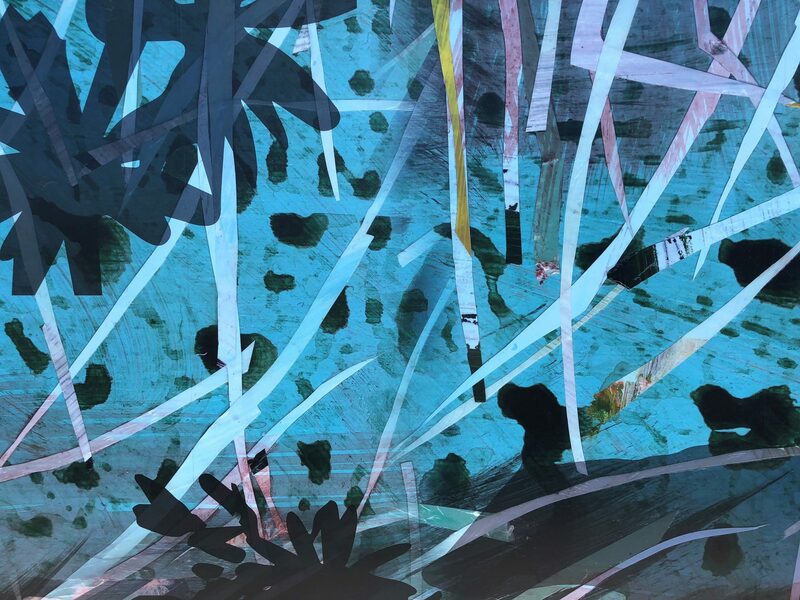 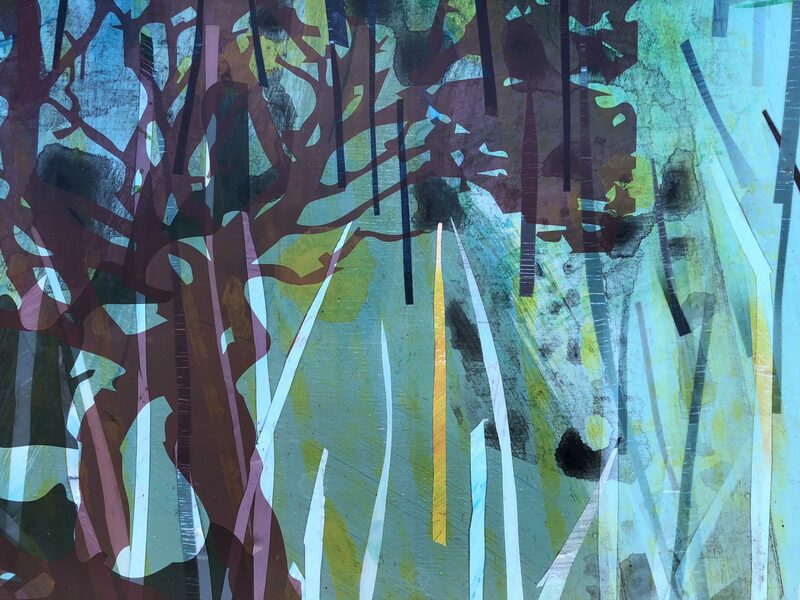 Struble's unique combination of paint and collage techniques bring an energetic texture and palette to the artwork. 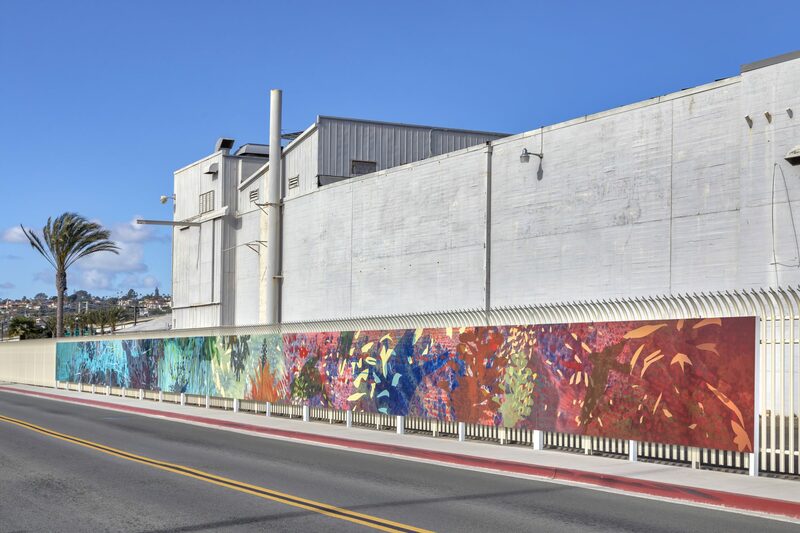 Embedded throughout the diverse and colorful local foliage depicted across the 144' long piece are silhouettes of regional, endangered wildlife.